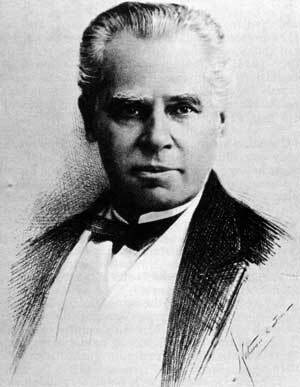 Two biographies of Sir George-Etienne Cartier have appeared within five years of each other. They are: George-Etienne Cartier, Montreal Bourgeois by Brian Young, and George-Etienne Cartier by Alastair Sweeney. The former is a very valuable volume, the latter less so; both works serve to remind us that we need to know much more about Cartier’s precise role in the establishment of the province of Manitoba. Although much has been written about him, Sir George Cartier has always been an elusive figure in Canadian history. This is partly because he remains at the centre of an interpretive and continuing controversy concerning the results of the 1838 rebellion in Lower Canada and its long-term effect on French Canada. Cartier, like LaFontaine before him, did much to “legitimize” the social and institutional arrangements made in French Canada after the brutal repression of 1837. Historians in the Whig tradition, particularly those writing in English, tend to stress his role in encouraging commercial “progress,” usually in the form of railways, as an effective anti-dote for the racial clashes of 1837-38. These scholars naturally overlook his harsh and often heavy-handed exercise of patronage and financial power. His methods of social control would not bear close examination in this happy story of progress and relative racial harmony. Yet, these historians show that in many ways, Cartier is the prototype for the successful French Canadian federal politician up to 1960. Naturally, a counter-interpretation has arisen in Quebec which places much emphasis on Cartier’s role as a collaborator with English capital and British power. He is seen as an opponent of the more genuine and purer strain of French-Canadian nationalism emanating from the rebellion period and passing from Papineau to the Parti Rouge down to the separatists of our own day. Cartier’s career was possible, in this version, because the 1837 rebellion in Lower Canada was crushed emphatically and with considerable brutality. The militant and secular ideals of Papineau and his patriots would henceforth be only the legacy of the minority Parti Rouge. LaFontaine and his carefully constructed system of patronage replaced the idealism of the patriotes after the 1841 Union of the Canadas. Cartier, originally one of LaFontaine’s young men, inherited his political machine and was able to vastly extend it because of the influx of huge amounts of money entering the country for railway construction. It seems logical to wonder if LaFontaine and Cartier together represent a betrayal of the patriote ideals of 1837. Cartier’s career, if examined in detail, also raises the more general question of the very nature of confederation itself. Seen in a global context, he might be simply a typical colonial politician enthusiastically assisting in the extension of British industrial and commercial power in return for the usual tokens and favours and the chance to shine on the larger imperial stage. Innocent of any political theory or directive doctrine, he could force the cause of progress on his often unwilling countrymen. His lack of political principle allowed him to be pragmatic and use any means at his disposal. Beyond this, Car-tier used his immense patronage power to discipline the embryo of what would become the first truly national Canadian political party. John A. Macdonald provided the style and formal leadership but the “lightning striker” kept his regionally minded colleagues in line. Cartier was not always successful and did not live to see the vast financial octopus that was the C.P.R. provide a more truly effective basis for the national party. In the 1870s the great Edward Blake often wondered if massive financial undertakings with their patronage possibilities constituted a sufficient basis for building an authentic Canadian nation. The question remains to this day. Cartier was more than a machine politician; however, like LaFontaine before him, and many after him, Cartier used patronage and economic power to serve ethnic rather than personal ends. French Canadian votes delivered by his party machine enabled Quebec to call the tune in the confederation scheme. English-Canadian opinion might shift but French Canada could always be delivered for a price, of course. After 1867 no federal party could rule Canada without the support of Quebec. There are two sides to all of this: Quebec always got a share of the financial gravy, but money was not desired for itself. Money and power passing into the hands of Quebec politicians were also used to support and protect an alternative society and culture. Cartier made quite sure that the British North America Act provided his people with as much in the way of cultural protection as they could expect. His methods of social control and his alliance with the clergy and big business would do the rest. The acquisition of the Hudson’s Bay Company territory in 1870 added a new dimension to the question of ethnic balance in the new dominion. It is well known that Cartier had to negotiate the acquisition of Rupert’s Land and the North-West Territory. His role in bringing British Columbia into confederation is also quite clear. His most important contribution, however, was the Manitoba Act itself. Within it may be seen the same delicate ethnic balance evident in the larger confederation scheme. Unfortunately, the dramatic events of the Riel affairs, the shooting of Scott, the amnesty issue and the whole question of the Métis have overshadowed the more important implications of the Manitoba Act. For a modern man like Cartier, committed to progress and development and an admirer of all things British, the Métis could never be more than a passing chapter in the history of the new territory. Much more important in the long run would be an attempt to create in southern Manitoba a chain of traditional parishes on the Quebec pattern protected by the provisions of the Manitoba Act. These would provide the foundation for massive settlement from Quebec itself and, no matter what happened to Riel, would insure that two peoples, English and French, would at least start as equals where prairie settlement began. Cartier’s young men, Joseph Royal, Marc Girard and Joseph Dubuc, together with Bishop Taché, had a potential role in the Manitoba of the 1870s which has been overshadowed by the Riel affair. Under more normal circumstances, these able men could have laid the foundation for the type of political machine that worked so well in Quebec. Taché was well connected with the best of Quebec society. He was Gallican enough to work with Cartier even in Quebec. The Riel affair may have brought these men together and forced them to act, but this should not obscure the larger issues. Historians need to examine Cartier’s relationship with men like Taché and Abbe Richot. What type of society did the Manitoba Act envisage for the new province? What methods of social control and direction would be used? Cartier died in 1873, and 1875 saw the beginning of a vast flood of Ontario settlers who soon made Manitoba the “outreach of Ontario.” In 1874 however, Girard was Premier and Provincial Secretary of Manitoba, and Joseph Dubuc was Attorney-General. The out-come of the Manitoba School Question made it clear to all that the French would not have an equal role in the new territories. Still the question remains: what type of society was envisioned by Cartier? It was obviously a dual society with French and English as equal partners. The strength and cohesion of the French would be guaranteed through the same methods Cartier applied so successfully in Quebec. Sweeny’s book in 1976 was billed as the “first major biography” of Cartier. This work is breathless, breezy and anecdotal and has at least the virtue of mentioning almost everyone who had anything to do with Cartier in his long career. The work, however, lacks any underlying theme or underpinning of ideas except the marvelous forward march of Canadian nation building. Politicians are quoted at length and their words are taken at face value. Cartier’s many roles as machine politician, lawyer, manipulator, office holder and agent for overseas capital are all set out without comment or explanation. The reader is left to wonder: was Cartier corrupt or was this normal Canadian practice? Was there such a thing as conflict of interest in the nineteenth century? Why did Cartier do all these things? Canadian history is a subject too full of subtlety to be treated in this fashion. Nowhere does Sweeny’s approach seem more bankrupt than in the chapter he calls “All Aboard for the West.” We meet all the characters, but with little interpretation or analysis. “On a clear bright morning” we find Joseph Dubuc and Abbe Richot on the upper deck of a little steamer on the Red River heading for Fort Garry. The events of the Riel affair and who said what to whom dominate the chapter, but Cartier is constantly brought into the story primarily by bizarre means. For example, General Wolseley is quoted at length on Cartier’s character! Riel is described in 1871 as a loyal rebel going into exile like his boyhood hero Sir George-Etienne Cartier who was, incidentally, asking Riel to leave the country instead of waiting for the promised amnesty. It is very doubtful that either Cartier or Riel saw themselves in this light, whatever the rhetoric. The Métis nation was never synonymous with the French Canadian nation. Brian Young, on the other hand, has written a carefully focused account of Cartier in a rather sociological manner. He sees Cartier as a typical member of the Montreal bourgeoisie in the middle of the last century. These were the French Canadians who turned their backs on the enthusiasms of 1837 (although many of them, like Cartier, participated in the rebellion itself) and joined their English speaking colleagues in the new economic activities such as railway building, setting up trust and insurance companies and land speculation. They clothed their complete commitment to these activities in the rhetoric of patriotism, religion, nation building and ethnic survival. There is much here to fuel the fires of controversy. Professor Young does not attempt to describe all of Cartier’s activities. He merely examines his social origins, his family, business connections and social position, then moves on to look at his activities as a working politician. Finally, he examines the institutions which provided the basis for Cartier’s power. As with many of the bourgeoisie, Cartier’s family had been well-off with a power base and connections in rural Quebec before the railway era. This enabled them to make the shift to the new activities with relative ease. This is not unexpected. More striking perhaps, was Cartier’s total admiration for all things English, especially in such matters as style, clothes, furniture, titles, books, houses, etc. He made many trips to London; indeed, he died there of Bright’s disease in 1873. He was probably just a typical colonial anglophile of the type raised up by the British from the bourgeois class in many colonies around the world. Canadian historians seldom make this point about Cartier and Quebec nationalists will not admire him for it. The section on institutions is, perhaps, the most useful in this valuable book. Cartier’s motives and role in codifying the legal system of Quebec is clearly described. The aim of the whole process, in spite of the rhetoric, was simply to get rid of many semi-feudal barriers to commercial exploitation. The seigneurial system, seen by some as the chief bulwark of ethnic survival, was described by Cartier as a barrier to the “spirit of enterprise.” The mighty Sulpicians,the richest order in Montreal, were great land owners under the old tenure and they had to be bought off. Thanks to Cartier, who acted as their lawyer, they emerged from the transformation richer than before with their money now invested in stocks and railway shares. Cartier represented the Sulpicians and the Grand Trunk Railroad, and his law office handled related land transactions! Similarly, the establishment of a general school system for Quebec saw Cartier forcing a tax-supported system on a very reluctant rural population. The Sulpicians played a major role here by both educating the elite and introducing another religious order to work in the ordinary schools. The tremendous role and influence of the Sulpicians in the formative years of the educational institutions in Quebec is rarely discussed by English-speaking historians. The school system that was established represented a deliberate attempt at centralized social control and represented an alliance between Cartier and the Gallican clergy. The powerful English minority were mollified by concessions much greater than their numbers could ever justify. The result of this policy is evident in Quebec today. In conclusion, Professor Young shows us that Cartier’s consistent aims were economic development and social control of the French-Canadian population. His power was based on the Sulpician Order, the Grand Trunk Railway and his role in the Conservative party. By 1871 this combination was out-of-date because of changes in Quebec society and the appearance on the horizon of the C.P.R. scheme. Cartier did not change, but died as he had liveda typical mid-century bourgeois. Proud of his coat-of-arms, his militia rank and uniform and his English title, Cartier’s final reward was the pomp of a state funeral. Young’s book does not deal with the west at all. This is a pity. How would Cartier have applied economic development and social control in the province of Manitoba? We can only guess at the details, but it is clear that Cartier would wish to extend the dual nature of confederation to Manitoba. His early death and the intervention of the Riel affair meant that the full scheme was never implemented. Nevertheless, the Manitoba Act of 1870 contained much that was fundamental to his vision. It took many years and much debate before that vision was destroyed, but even today the debate continues with sufficient acrimony to indicate that Cartier’s plan for Manitoba is not quite dead. The recent legal decisions requiring Manitoba to translate her statutes into French retroactively suggest there is still some life in the body. In spite of the publication of these two new books dealing with this most important Father of Confederation, we still require a sound general study of Cartier with a careful focus on the founding of Manitoba.